Erdogan sets agenda for Tsipras' visit: Extradite the 8 Turkish soldiers! Home / News / Politics / Greece / Erdogan sets agenda for Tsipras’ visit: Extradite the 8 Turkish soldiers! Erdogan sets agenda for Tsipras’ visit: Extradite the 8 Turkish soldiers! Just a couple of days before Greek Prime Minister Alexis Tsipras set foot in Turkey following an invitation by President Recep Tayyip Erdogan and the latter indirectly put the agenda on the table: Athens should hand over the Ankara the 8 Turkish soldiers that fled to Greece a day after the failed coup in July 2016. The demand was set by the Turkish National Security Council (MGK) during its 5-hour meeting on Wednesday. The council also stressed measures against terrorist organizations that are disturbing the country’s peace. 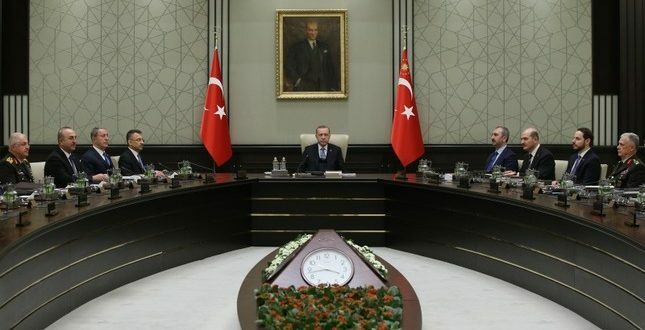 The MGK statement said also that urkey will watch closely the developments in Cyprus, the Eastern Mediterranean, the Aegean and Black Sea, taking action to protect its rights as given through international agreements. Tsipras’ visit is scheduled for February 5.
the Greek Prime Minister and the government have repeatedly reiterated that the extradition of the 8 Turkish soldiers has been rejected by the Greek legal bodies. Furthermore, the soldiers were granted political asylum. PS this is Erdogan’s lost case.